Sometimes I have to say that to myself because it still doesn't seem real. 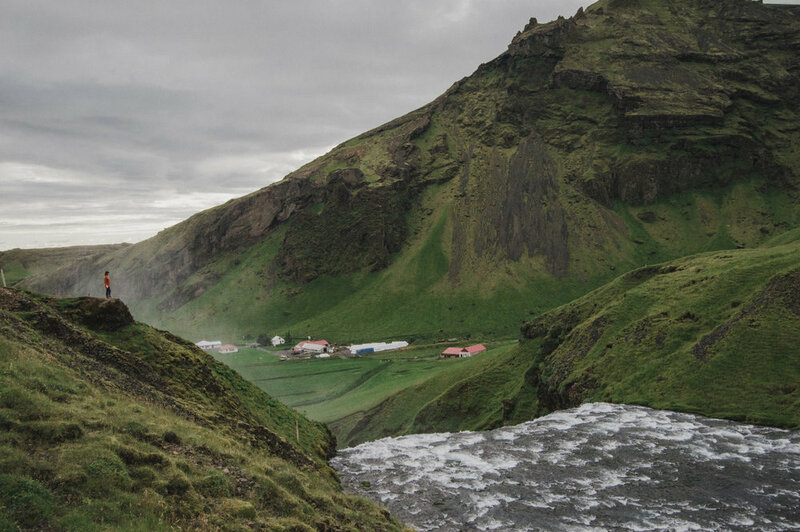 Iceland has been on my radar for a while (probably since I first saw The Secret Life of Walter Mitty) but I've never really heard much about it as a travel destination. I mean, it literally has "ice" in its name (even though it isn't named after literal ice, it still isn't a very welcoming sounding name). But after a week on the beautiful arctic island, I can easily rank Iceland in my top favorite places ever. Maybe even THE favorite. The best way I can describe Iceland is raw natural beauty. It's a tiny Iceland with an even tinier population. 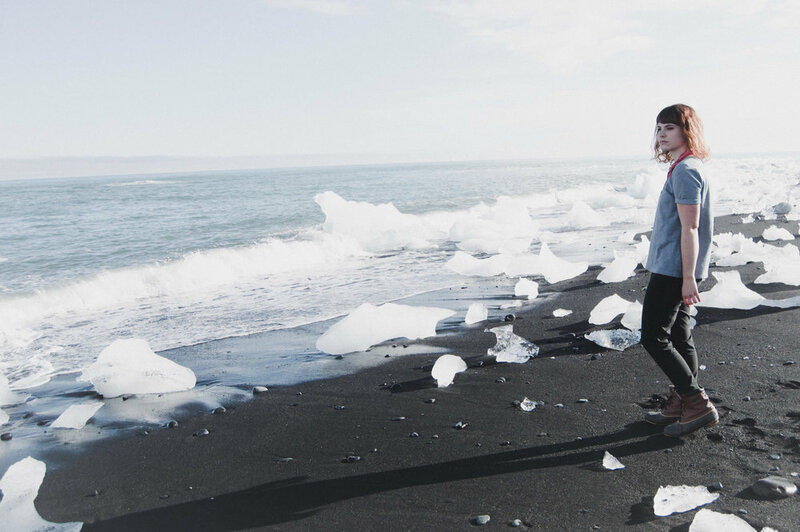 A mixture of sprawling green fields and empty rock deserts, topped with volcanos and glaciers, and edged with black sand beaches, it seems too beautiful to be real. My family rented a car when we landed in Reykjavík and drove along the south coast. Aside from the periodic napping, I spent almost the entire car ride trying to soak in as much of the scenery as my eyeballs could handle and sticking my camera out the window in an attempt to capture the amazing beauty that surrounded us. And that was just the drive. I tried my best to photograph the incredible scenery and gather up my favorite images to show off this amazing country. Our first stop after flying in was the Pinterest-popular Blue Lagoon. It's a very touristy spot, but still worth it. 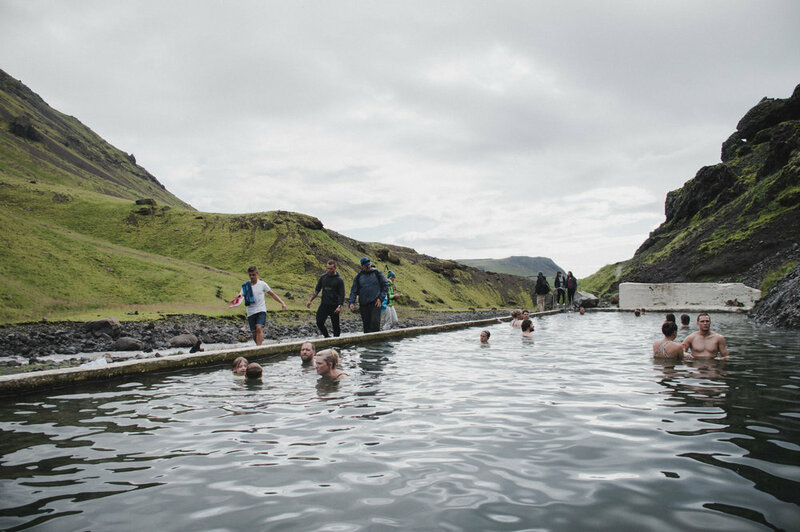 It's a geothermal spa in the middle of expansive rocky Icelandic scenery. We booked our spot in advance. Even though our flight was delayed coming in, they honored our reservation. We got the standard package, which includes entrance and a silica mud mask. "Foss" is Icelandic for waterfall. And if there's one thing Iceland is good at, it's the foss game. 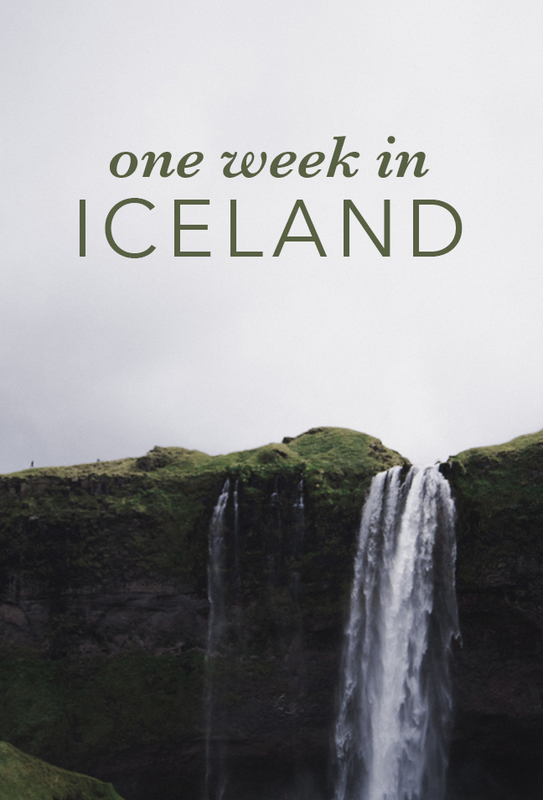 We visited three major Icelandic waterfalls and each one was as breathtaking as the last. Our waterproof rain jackets were lifesavers for walking behind Seljalandsfoss. I didn't get any pictures of that part because, well, we were basically inside of a waterfall. If you plan to take a camera, be sure to protect it when you're close to the spray. 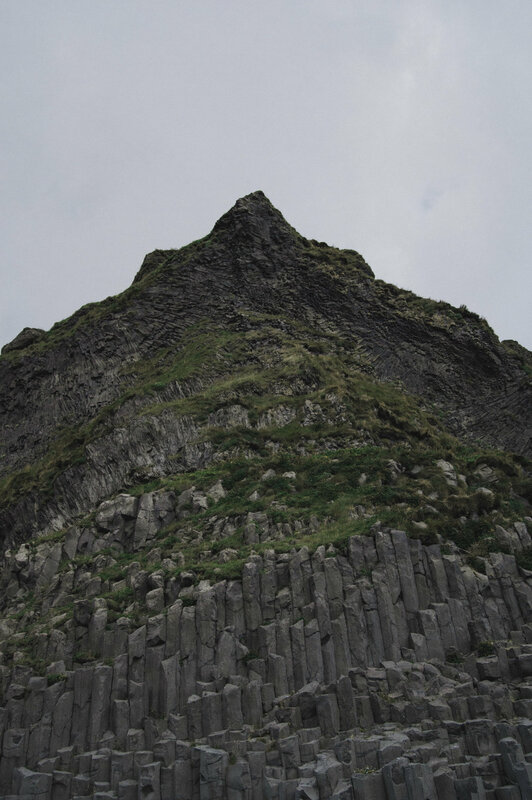 We stayed in the town of Vik, which is famous for it's black sand beach and the basalt columns there. These formations are featured in the music video for Bon Iver's song Holocene (yeah, I was geeking out the entire time). The beaches are made up of super smooth pitch black volcanic rocks. The contrast between the churning waves and the black shore is stunning. We visited several other beautiful spots in Vik, including Dyrhólaey, a small peninsula not far from the basalt columns. Atop the highest point sits a lovely lighthouse that looks like it belongs in a Wes Anderson film. Looking out in each direction, the view is unbelievable from all sides. Arguably THE waterfall in Iceland, Skogafoss is one of the largest in the country. It's huge and powerful and sometimes gifts viewers with rainbows on sunny days. One of the more haunting sites we visited is the wreckage of a plane on Sólheimasandur Beach. In 1973, the US Navy aircraft was forced to crash land. Fortunately all the crew survived, leaving behind a reminder of how small we are in this great big world. The access road is closed to vehicles, so we hiked nearly 5 miles round trip to see the wreckage. 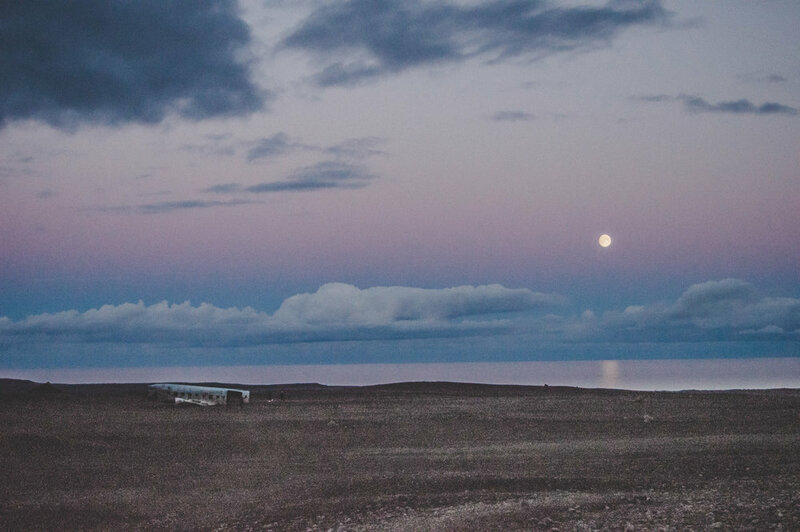 But watching the moon rise over the carnage against the pink twilight sky made it totally worth the trip. Jökulsárlón is a glacial lagoon full of icebergs from one of Iceland's glaciers. The icebergs break off into the lagoon, occasionally breaking free into the Atlantic Ocean. 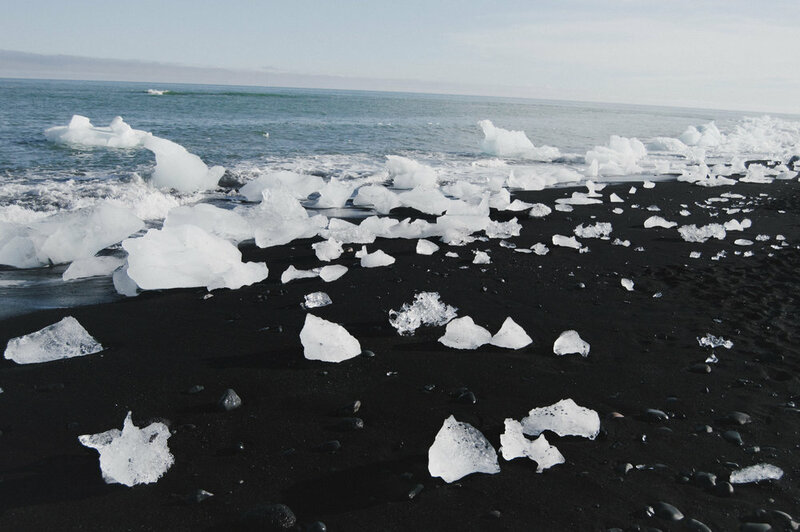 The huge chunks of ice are then washed ashore onto the black beach, creating a stunning contrast known as the diamond beach. We spent several hours here skipping rocks off of floating icebergs, watching seals bob their heads in and out of the water, and occasionally hearing the distant sound of a new iceberg calving from the glacier. This geothermal pool is built into the side of a mountain and pipe-fed by spring water. It was a little crazy to change from 3+ layers into swimsuits, but the combination of the warm natural water and the surrounding mountainous view made it feel almost like a spa. 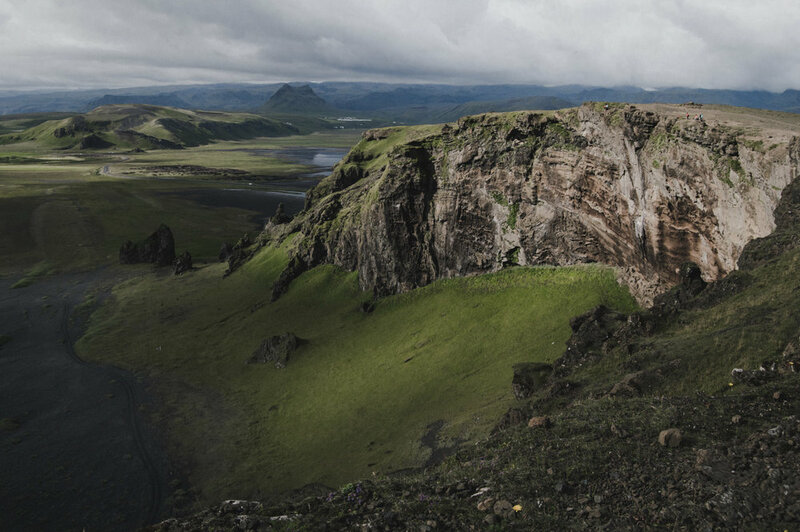 You know, a spa that's carved out of a mountain and filled with Icelandic spring water. This has been a long post, but I've barely scratched the surface of the incredible things we saw, did, and experienced. What would you like to know about our trip? What we packed? Where we stayed? Let me know in the comments what my next post in the Iceland series should cover!